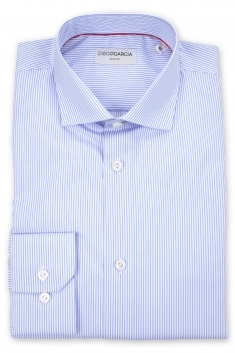 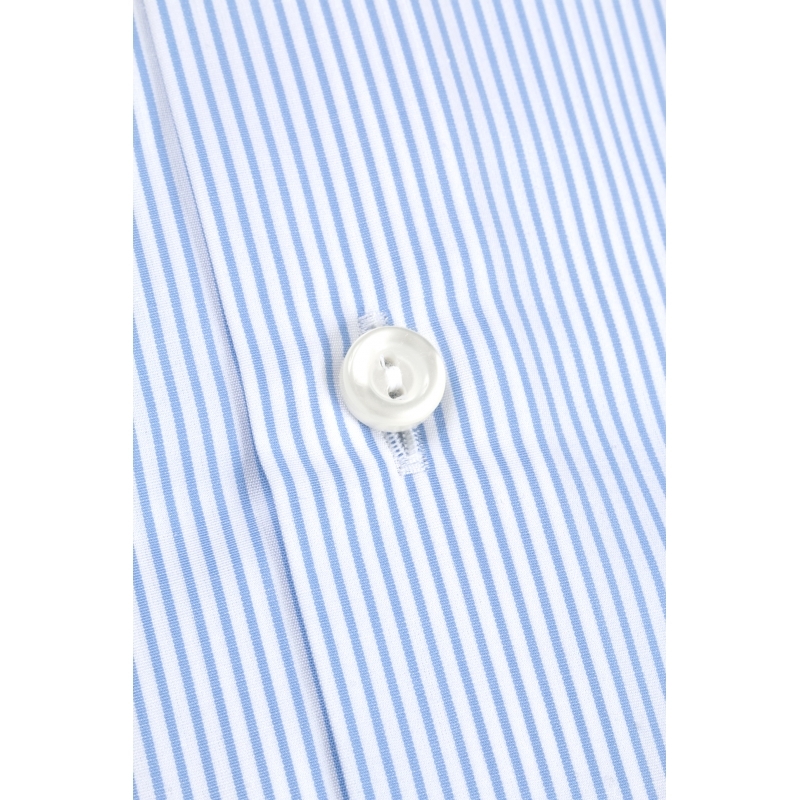 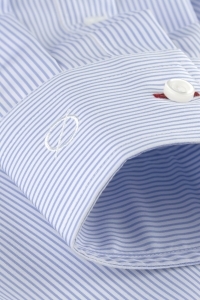 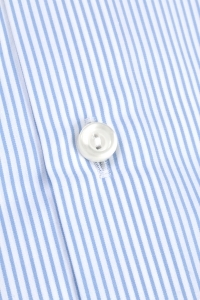 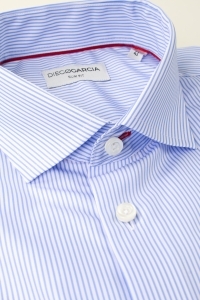 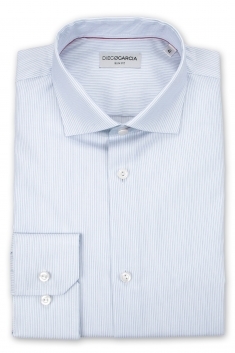 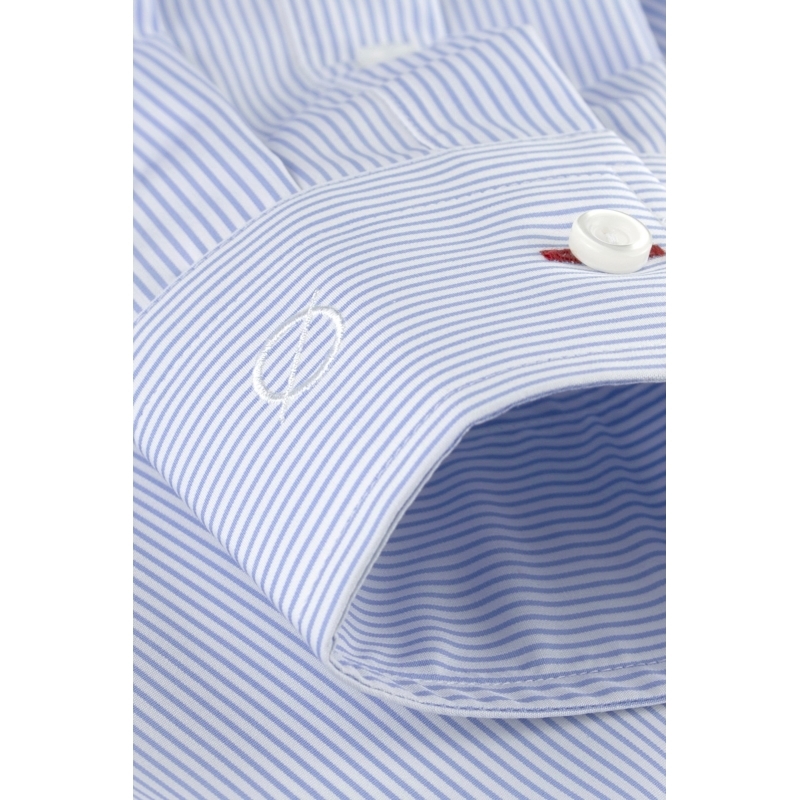 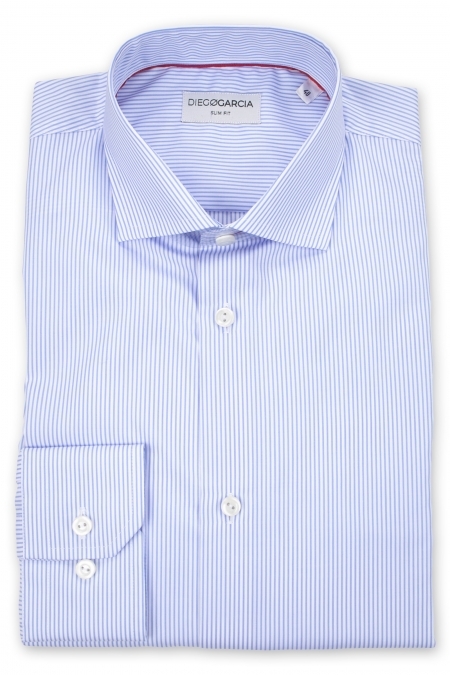 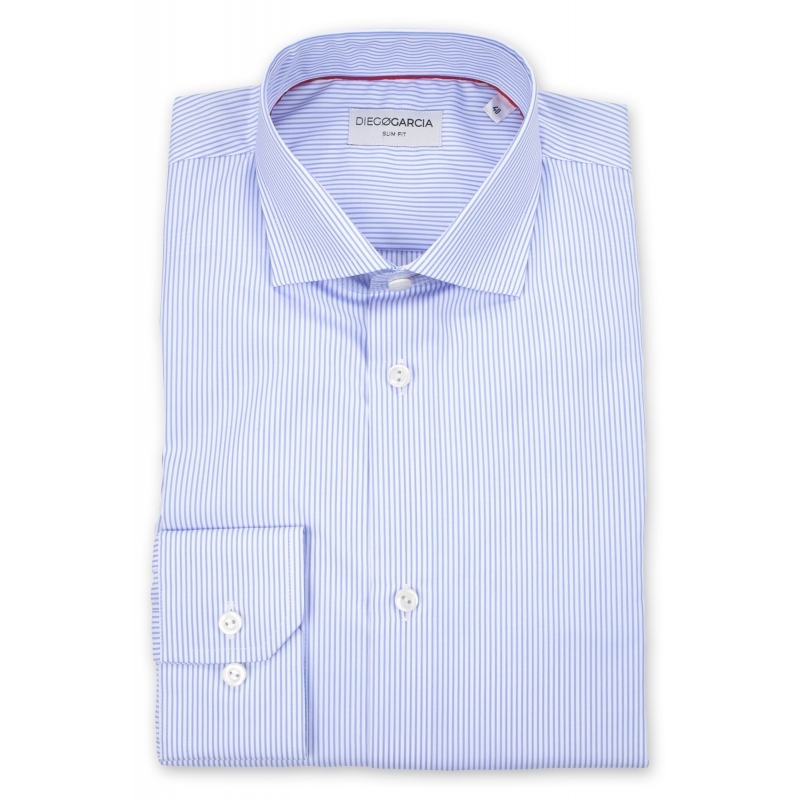 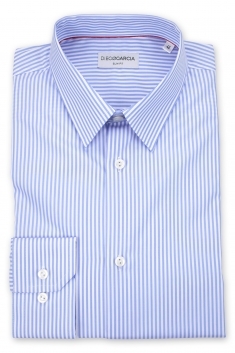 The classic Mayfair shirt combines a chic and refined style thanks to its adjusted fit and its stripe prints. 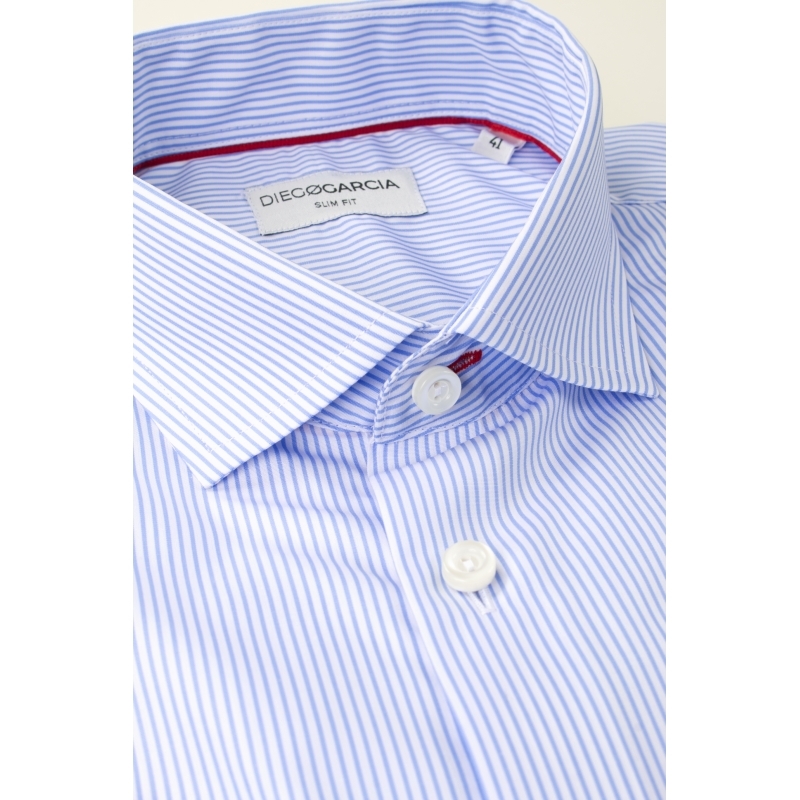 It is caracterized by a cutaway collar, button cuffs and an Egyptian poplin from the spinning mill Cotonificio Albini of high quality. 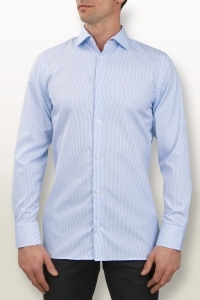 It offers comfort and elegance.